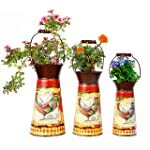 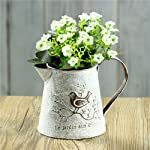 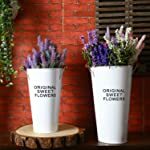 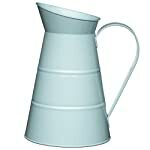 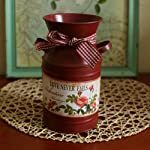 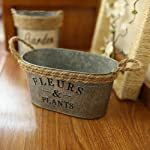 This charming plant container makes a wonderful addition to your indoor or outdoor spaces and provides a stylish home for small potted plants. 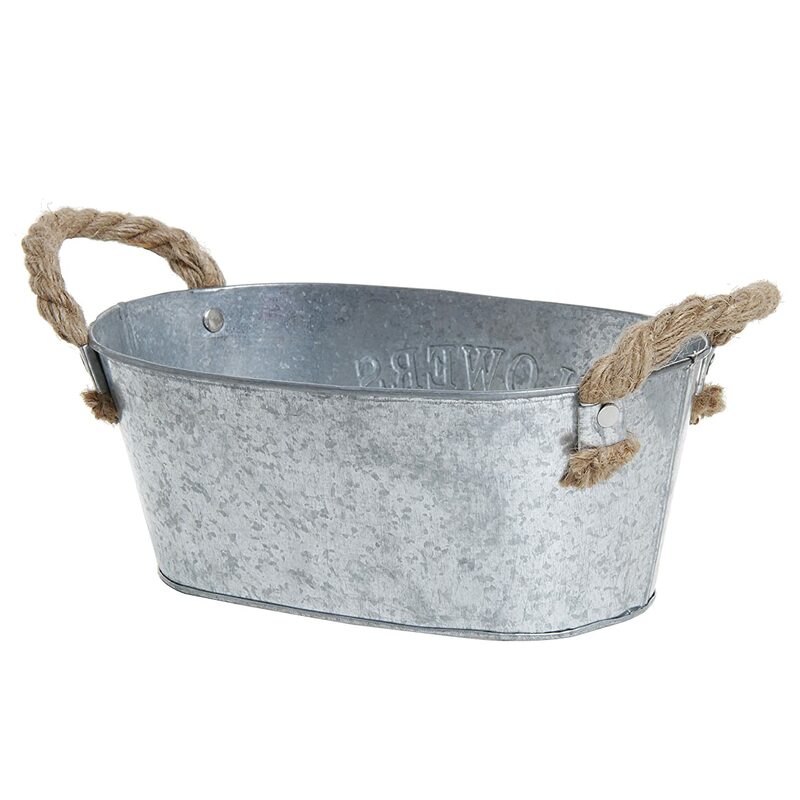 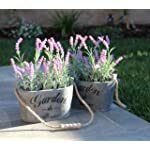 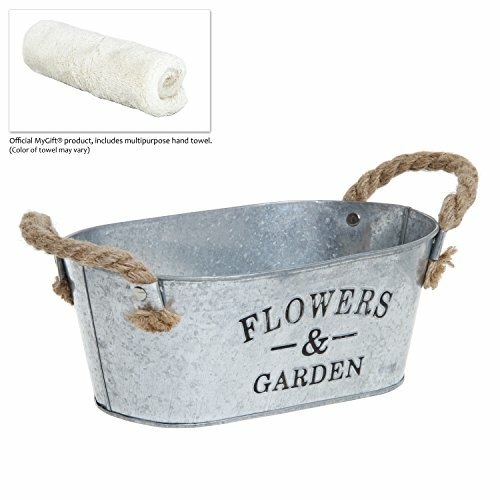 The sturdy metal that makes up this flower planter is shaped like a vintage-style tub and features a rustic-style finish and 2 twine handles (one on either end). 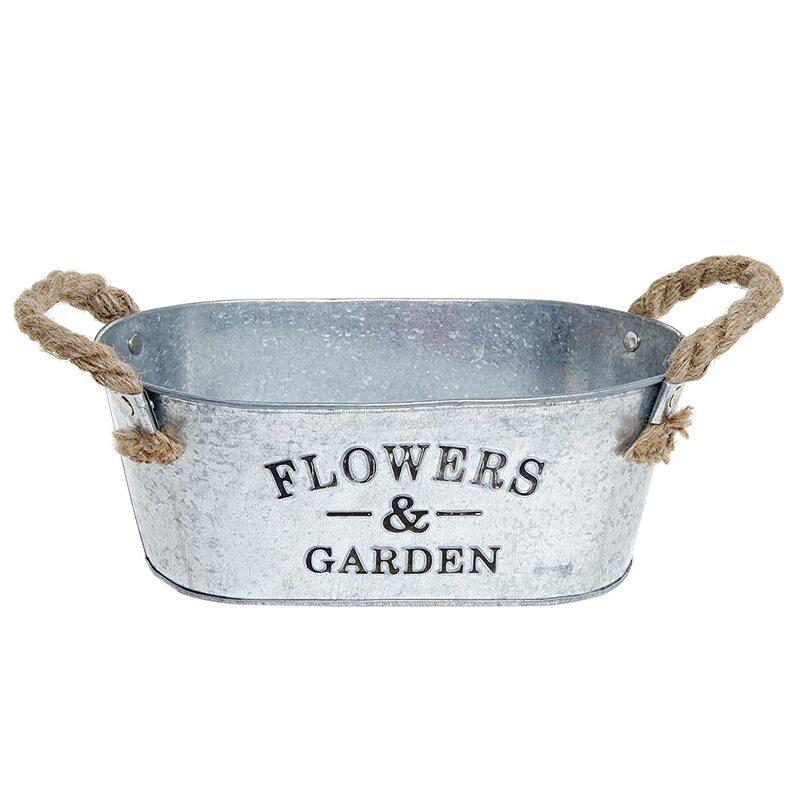 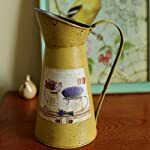 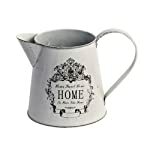 Adding to the country rustic appeal, this plant container also boasts the words FLOWERS & GARDEN inscribed onto the front. 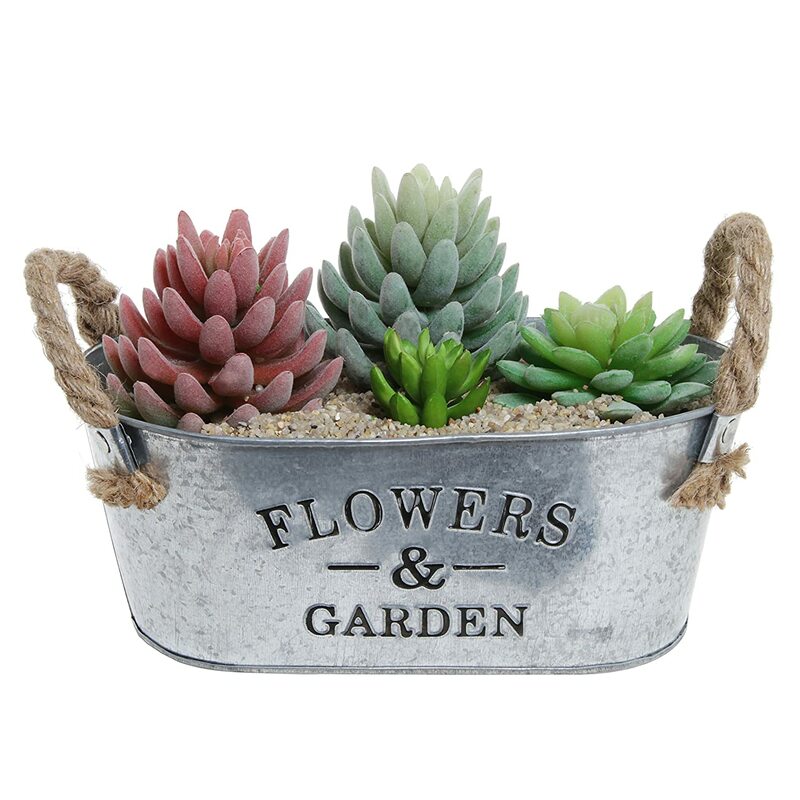 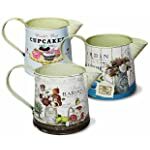 Use this pot to house live potted plants, including succulents and flowers, or to show of non-living home decor items, such as candles, figurines, and more. 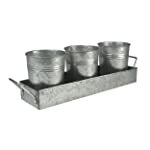 Approximate Dimensions (in inches): 10.25 W X 4 H X 6 D.